PORT MOODY – The Port Moody Police Department is seeking the public’s assistance in locating a missing person. Mark ISTEPHAN (47) of Vancouver Island was last seen on November 30th, 2018 when he discharged himself from Eagle Ridge Hospital. As of Dec. 3rd, 2018 family members became concerned for his welfare as he had not returned home and had not made contact with them since he left the hospital. ISTEPHAN is described as being a male, of Middle Eastern descent, 6 feet tall, weighing 181 pounds. He has short grey hair, and acne scars on his face. 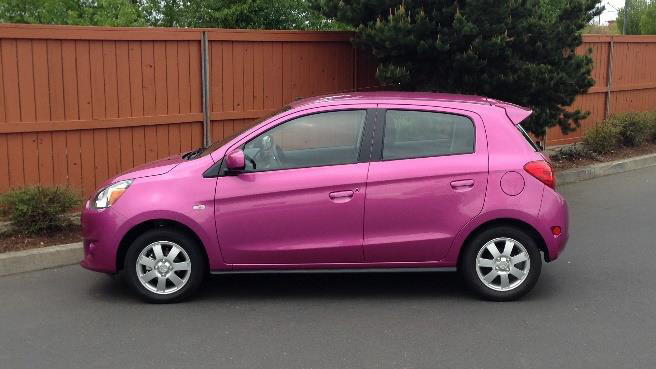 His vehicle should be quite noticeable, as it is described as a “hot pink” Mitsubishi Mirage, bearing B.C license plate #CD6 47X. This is a small 4-door sedan. A photo of ISTEPHAN, including a stock photograph of his vehicle is attached with this release. Anyone with information regarding Mark ISTEPHAN’s whereabouts is asked to immediately contact the Port Moody Police Department at 604-461-3456 or your local police department.